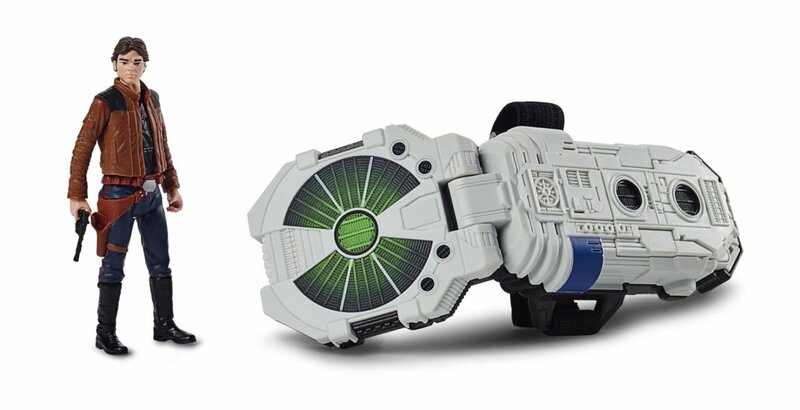 Bring STAR WARS adventures to life with the newly designed FORCE LINK 2.0 STARTER SET including FORCE LINK wearable technology, which allows fans to activate movie sound effects and phrases in more than 30 compatible STAR WARS toys! Use the Force with an exclusive 3.75-inch HAN SOLO figure only available in the FORCE LINK 2.0 STARTER SET, featuring unique sounds and expressions from SOLO: A STAR WARS STORY. FORCE LINK technology unlocks an extensive collection of sounds and phrases with compatible figures, accessories, vehicles, and playsets. Includes FORCE LINK wearable technology and exclusive 3.75-inch figure. Compatible with all products in the FORCE LINK line, each sold separately. Requires 3 AAA batteries, not included. Available at most major retailers.